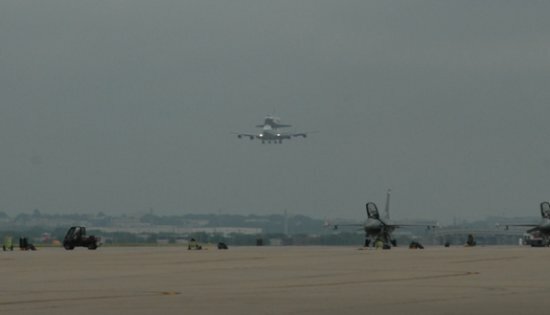 That first shot with the SCA landing with an F-16 in the foreground is a pretty awesome shot! 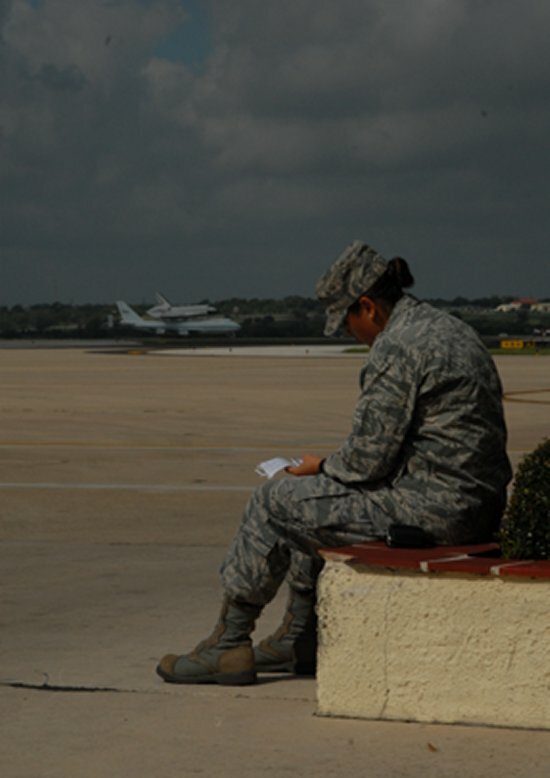 The Army created the first antecedent of the Air Force in 1907, which through a succession of changes of organization, titles, and missions advanced toward eventual separation 40 years later.The United States Air Force became a separate military service on 18 September 1947, with the implementation of the National Security Act of 1947. The Act created the United States Department of Defense, which was composed of three branches, the Army, Navy and a newly-created Air Force. Prior to 1947, the responsibility for military aviation was divided between the Army (for land-based operations) and the Navy, for sea-based operations from aircraft carrier and amphibious aircraft. Enjoying tagging along with you Dan! Very interesting to get an inside look of how the shuttle gets home. You can really appreciate the logistics and planning that go into moving such a national asset. Awesome! Dan, are you flying with Rick Brewer? If so, give him a hug!! Love your blog- makes it easy to keep track of where you guys are! Can you post the flight path into Cape Canveral so that those of us in the area will know where to go to get a view of this approach and landing? What time is the shuttle departing Kelly Air Force Base? You said “We’ll have video soon” for the landing at Lackland. Just curious if you’d forgotten about it. It still seems curious that a vehicle that plows through the atmosphere at very high mach numbers has to fear raindrops at sub-sonic speeds. I had the opportunity to watch Columbia aboard the SCA land at Offutt AFB back in 1985. A truly amazing sight. Probably the most astounding part of it for me was when they took a turn over downtown Omaha. I couldn’t believe how hard they banked the SCA with that load on top.